As much as I love blogging, sometimes you come across a subject which merits a bit more of an in-depth discussion than we would usually provide in a blog post here on Money Bulldog. One of these subjects is that of Paying Off Debt. For most people, paying off debt requires a complete lifestyle overhaul and the principles, processes and emotions involved in a personal journey toward debt freedom are extremely important. With this in mind we have decided to create a new Ebook titled ‘10 Top Tips for Paying Off Debt: Practical advice to help you pay off and get out of debt!’ which is available for download on Amazon now*. Begin your journey toward debt freedom! In ‘10 Top Tips for Paying Off Debt’ we will give you the basic information needed for you to start tackling your debt immediately while at the same time staying motivated for a journey which is likely going to be a marathon rather than a sprint. Don’t let this thought discourage you though, many people have been able to pay off their debt and then go on to achieve financial freedom using the tips we mention in our book. The idea of debt free living is not a dream, it is a reality which is completely achievable if you are willing to take the necessary steps to face up to your financial situation and make some changes. 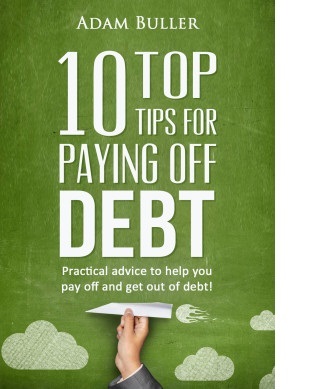 If the idea of debt free living sounds appealing to you, then why not take a moment to hop onto the Amazon website and Download Our New Ebook* ‘10 Top Tips for Paying Off Debt’ Today! We’ve recently launched the book in Kindle format for a limited time introductory price of just $2.99 – about £1.99 if you live in the UK. You don’t need to own a Kindle device to be able to read the Ebook as it can be read on almost any electronic device by way of a ‘Kindle app’ which you can download for free on the Amazon website. Compatible devices include Kindle, PC, Android Smartphones, Android tablets, iPhone, iPad, iPod Touch and Mac. 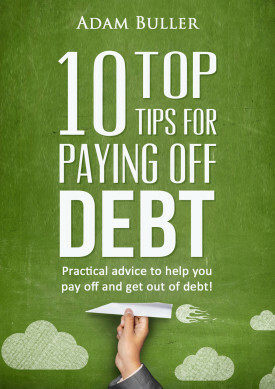 We’re sure that you’ll find ‘10 Top Tips for Paying Off Debt’ inspiring in your journey towards debt freedom!